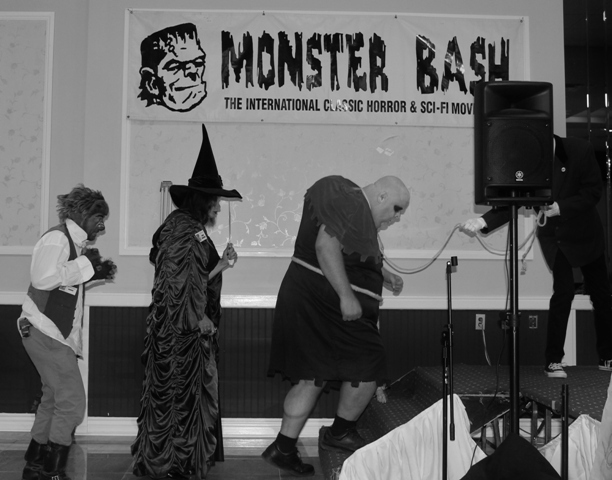 Penny Dreadul & Ghoul A Go-Go Dance-off at Monsterbash! 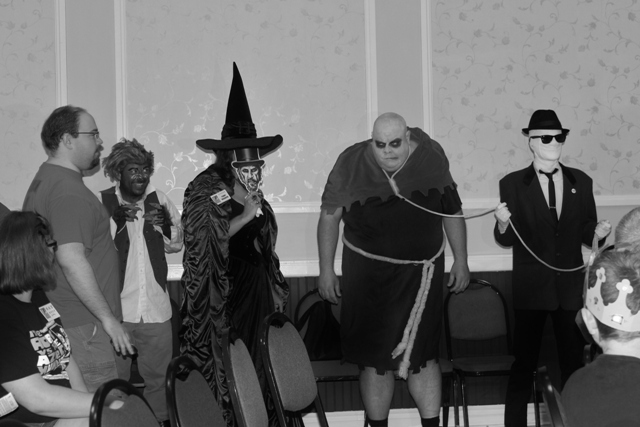 When Ghoul A Go-Go frontrunner, Vlad Tepis, was unable to appear at this year’s MONSTERBASH it was Shilling Shocker’s Penny Dreadful to the rescue! The crafty New England witch made a spell-binding replacement, all done last minute. Ghoul A G-Go is a popular show combining monsters, laughs, and dancing! 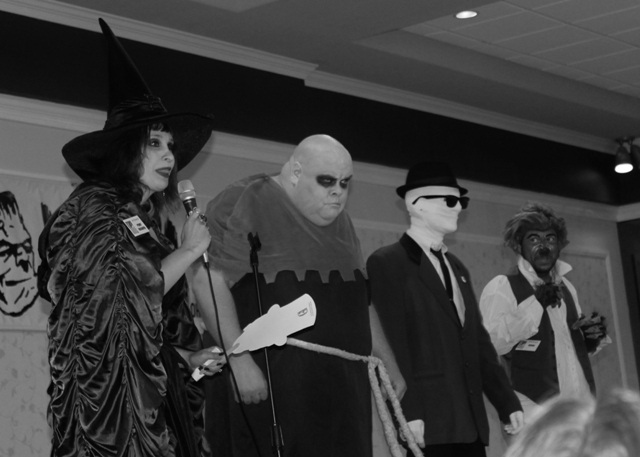 They’re regulars of the premiere Pennsylvania Monster event but the absence of Vlad (which Penny jokingly explained was due to his protest of the DARK SHADOWS remake) created a bit of a dilemma in lieu of their scheduled performance. You see, Vlad is the only member of the trio who actually speaks! 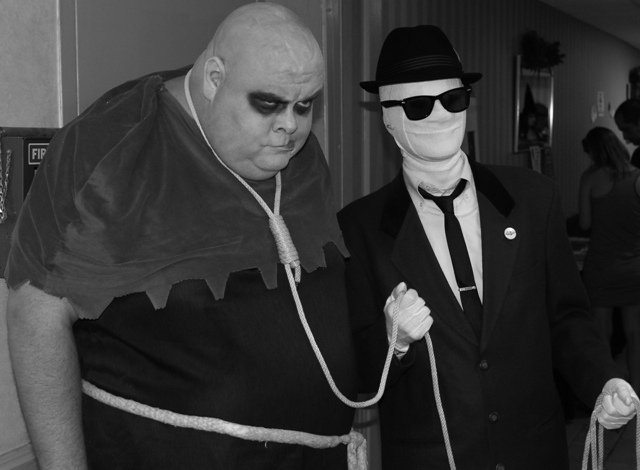 (NOTE: Out of respect for the wishes of Ghoul A Go-Go, all photos and video are B&W). 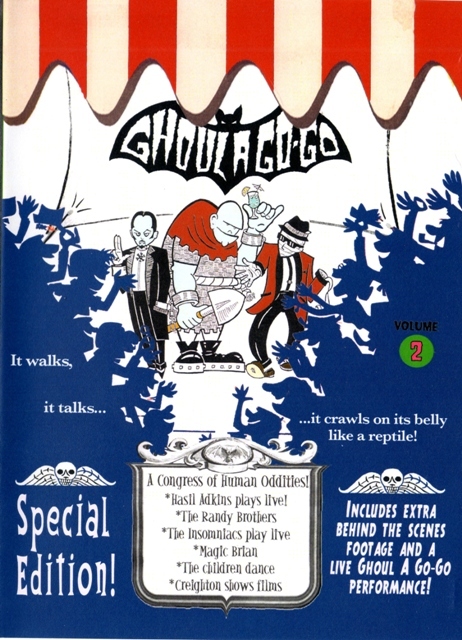 Latest Ghoul A Go-Go DVD available at MONSTERBASH! As we wrote back in our earlier days, Penny Dreadful cites Ghoul A Go-Go as one of her own influences in becoming a horror host (see story HERE). She was absolutely a Hex-cellent choice in standing in for Vlad while maintaining the essence of the show! Be sure to check out Ghoul A Go-Go’s site for their latest appearances and activities by clicking HERE! NOTE TO GHOUL A GO-GO: if you are reading this, please join our weekly Horror Host report! And if you haven’t gotten your copy of Penny Dreadful’s daring Shilling Shocker’s Season 8 (which I am thoroughly enjoying), please do so ASAP by clicking HERE! 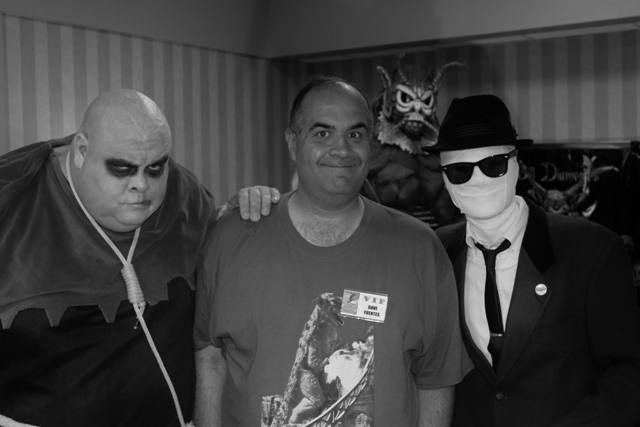 This entry was posted in Convention & Expos, Horror Hosts and tagged GHOUL A GO-GO, HORROR HOSTS, MONSTER DANCE, Monsters, Penny Dreadful. Bookmark the permalink.